Steve Collins is a partner practicing in the firm’s Litigation & Trial Practice and Securities Litigation Groups. His practice focuses on (1) securities litigation, investigations and enforcement proceedings; (2) financial services litigation; and (3) transaction-based litigation, as the principal components of a commercial litigation practice. Securities Litigation and Investigations: Mr. Collins represents clients in SEC, stock exchange and state securities investigations and enforcement proceedings, as well as internal investigations arising primarily from allegations of accounting fraud and insider trading. He also represents clients in defense of shareholder class actions under the federal securities laws. Financial Services Litigation: Mr. Collins represents financial institutions in a wide range of disputes, including letters of credit/international transactions, embezzlement, check kiting, mergers and acquisitions, governmental investigations, shareholder class actions, lender liability, checks/bank deposits and collections, consumer class actions and fraud. Mr. Collins also serves as general counsel to Alston & Bird. 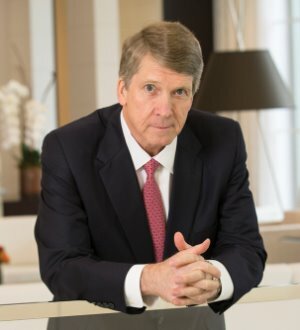 He lectures on a variety of subjects, including SEC investigations, insider trading, lender liability, strategies for resolving transaction-based disputes and the responsibilities of officers, directors, lawyers and bankers in the post-Enron environment.